UK parliament to discuss the UPC next week wednesday 29 november, please write to the concerned members of the committee. Please sign the official petition on the UK Parliament website. Please call your Member of Parliament in the UK and Scotland and ask him/her to reject the ratification of the UPC. 05 april 2017: The UK IPO has confirmed that the government’s preparations for ratification of the Unified Patent Court (UPC) Agreement are “fully on track” to allow the provisional application phase to start in May. Rumour is that the Government and the IP Minister Jo Johnson wants to ratify the UPC without a vote in Parliament(s) on the 7th of March 2017, with a fallback plan to have it signed by the end of March 2017, before Brexit article 50 is active. To quote the recent meeting between Jo Johnson and EPO President Battistelli on wednesday 8th of March: "I was very pleased to hear the reconfirmation by the Minister that the UK government is committed to finalize the national ratification of the UPC treaty in order for the Court to be operational on 1 December 2017 and thus for the EPO to be able to deliver the first Unitary Patent at the same time." 14. We call on other EU member states to redraft the project in order to make it integrated within the structures of the European Union, and migrate the undemocratic European Patent Office (EPO) into an EU agency under the sole responsability of the European Parliament. The EPO is an international organization which abuses its diplomatic immunity, and is thus literally outside the law. We also denote the lack of separation of powers within the Council of European Ministers, which are part of the executive, and were heavily influenced by their National Patent Offices. The legislator should not be influenced by the executive, which is the currently the norm at EU level. Comments: No country has benefitted from software patents. Big companies can defend claims by passing costs on to the consumer. Small businesses will be lost, costing jobs, competition and innovation. Much open source software in our economy and infrastructure is the work of volunteers, who would be at risk. Comments: I am opposed in principle to software patents, as is in violation of EPC art. 52 (See above). The UPC cannot proceed without UK involvement. Comments: patents are the worst plague in this world, making some filthy rich and blocking prosperity for the masses. Comments: A software patent is like a patent on Pythagoras' theorem. 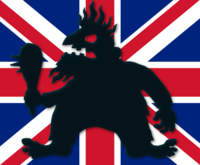 Comments: With Brexit looming on the horizon, ratifying the UPC will hobble British software developers just at the moment they most need freedom to innovate in order to compete on the world stage. Comments: Algorithms are alphanumeric constructs, iterative and are at the heart of all software. If the work is unique, and demonstrably so, copyright is where any exclusive ownership should lie. Software patents favour the big corporations at the expense of the SMEs they claim to protect. Comments: Please prevent large companies stifling enterprising small software developers. Comments: Software patents are a menace to development of software, specifically where small companies are concerned. They will stifle innovation by such small companies and allow large companies to control the former. Comments: WHy are we keeping the worst bit of Europe - whilst trying to leave the rest. I voted remain - but I would have voted leave the EPO if that had been on offer. Comments: China does not do 'IP', and while the 'West' derides China for copying, the 'West' cannot do without Chinese tech! We CAN NOT compete with the Chinese if we tie ourselves in tighter knots while they free themselves. Comments: Software Patents block innovation. Countries that do not have software patents will overtake everyone in the long run. Comments: "If at first you don't succeed" then maybe a centralised patent court was a really bad idea to begin with! Comments: Software patents are an intrinsically bad idea - one only has to look at the history of the vast amount of abuse of them which there has been. They completely miss the real point of the patent system. Comments: Since Darwin it has been known that diversity is essential for evolution. Software Patents kill diversity. Comments: This treaty is a threat to democracy and to all small businesses developing and using software. Could the UK have developed WhatsApp if it had been in force? Comments: The control of Software patentability should not be handed over to large corporate enterprises to the detriment of innovative SME and independent developers. Comments: Software patents are a massive tax on innovation; anything which gives them more clout, no matter what its other virtues, must be a bad idea. Comments: This is obviously a threat against democracy that we have to be weary towards. Comments: If you don't have mechanisms for preventing people patenting the obvious (or for throwing out ridiculous patents whenever the parasites behind them try to rip money out of actual innovators), your system is a failure. Either do the job properly or don't do it at all. Comments: This is big company stifling of competition at its worst by trying to allow and enforce patents on obvious software ideas and algorithms. Also, trying to ratify this UPC without proper parliamentary vote or debate smacks of the government being in the back pockets of big businesses once again. Comments: UPC is a despicable distortion of proper use of patent law. We need to prevent this grabbing. Comments: The proper and sufficient way to protect software is by copyright, not patent. Allowing patents is bad for interoperability and tends to create monopolies. Comments: Patents are regularly shown to be an obstruction to, not an enabler for, innovation. Software Patents are not the right way to go. Comments: Software patents will kill software innovation. Comments: Software should be free for all to use! Never patented.